This Paleo chocolate zucchini bread has the added nutrition of hemp hearts hiding within!! And because this bread is easily done all inside your blender….no one will ever know that zucchini and hemp are hiding in this tender, chocolaty bread! Read : kids won’t know it’s good for them!! Born of a desire to use a decent amount of hemp hearts….I took to a favorite recipe from Flippin Delicious that I had already successfully modified for ease and personal preference. I just kept the modify theme going to create this utterly perfect, nutritious, and moist loaf. Sometimes first tries work…and in this case, it was ‘hit it out of the park’ success! I prepared the whole thing in my awesome food processor bowl (and since migrated to my trusty and much beloved BlendTec) to make it quick and easy. No need to grate zucchini that way, and no kids making complaints about green flecks in their food ( I can’t be the only one, right??!!)! And if you want a quicker cook time, just make these as muffins instead of a loaf! much easier to pack for lunches and an on the go nutrient-dense snack! 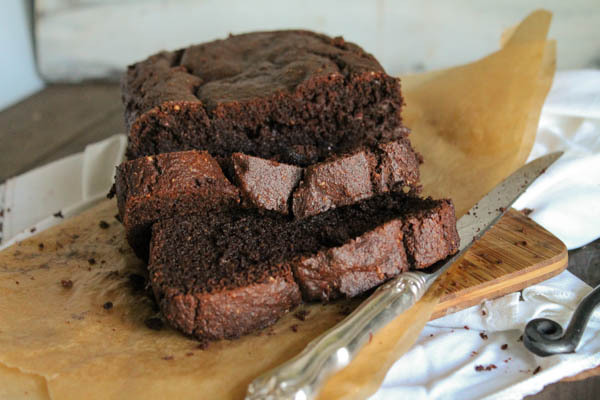 Either way, this nourishing Paleo chocolate zucchini bread is sure to be a crowd pleaser! In my house, this recipe is regularly asked for….and regularly given!!! Hemp Hearts – These are a super nutritious little seed!! I like to get them in wherever I can. Great in baking, salads, and smoothies. Costoc carries them, but I place my order via Subscribe an Save on Amazon. Almond Flour – A great flour to have on hand for Paleo and low carb baking. Cassava Flour – THE most versatile grain free, AIP friendly flour out there!! I would not be caught without it now, it’s a breeze to work with and has a a very neutral flavor like regular flour! One the few grain free flours that can be used all it’s own too! Like Zucchini? Here are some more recipes you could try! Make this today to have a nutrient dense food your kids will devour for after school snack! If you enjoy the recipe, please don’t forget to come back and comment and leave a rating! Preheat oven to 350 degrees. Prepare a loaf pan or 12 muffin pan plus 4 extra, I used parchment paper. In the bowl of a food processor, blend the zucchini, oil, eggs, sugar, and vanilla until smooth and creamy. Add in the hemp hearts, almond flour, tapioca, cocoa powder and blend until smooth (I whirred until the hemp disappeared for my picky kids). Add in the soda, powder, and salt and pulse to blend thoroughly. Here you want to take stock...the batter should be a typical muffin/quick-bread consistency. Add a bit more of any of the flours if you need to. Here are some additional recipes using hemp hearts that you could try!! Smells great! Tastes okay, not impressed. The cake crumbles apart before I could get it into my mouth. But I didn’t have almond flour so I used oat flour instead. Maybe that’s why? Will not be making this again. Hi Jennifer! Almond flour and oat flour behave VERY differently, and oat absorbs far more liquid than almond…so I am sure that is why it crumbled. I’m craving this! Any idea the carb count using a keto sweetener like lakanto gold? This looks so good! Do you think it would work with an egg substitute? Hi Kelly! A reader,Nikki, in a below comment says she’s uses 1/4 cup flax to replace eggs and loves it! I haven’t experimented with a egg free version yet myself…..
OK. Thanks for the kind reply! There is something so tempting about a loaf of chocolate bread on the counter, already sliced!!! These photos! Just some butter, and I’m set to go! Do you chop the zucchini in small pieces before blending? Hi Hope! Just 2-4” chunks! Making these today, one of my kid is loving these muffins. 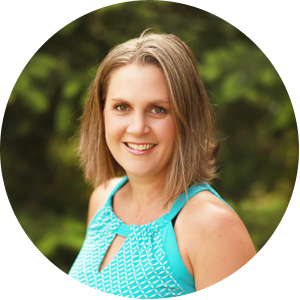 Great blog additions: the print and and jump to recipe, and the nutrition facts too! Mmmm this looks great! Love the addition of hemp! Great flavor and such a nutritional powerhouse! 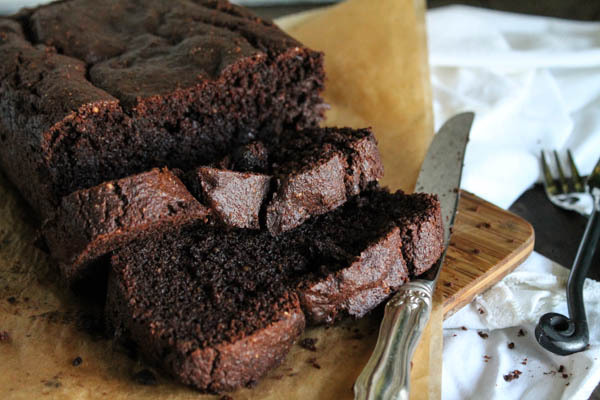 I love chocolate zucchini bread. So moist and delicious ! Wow this bread looks amazing! Can’t wait to try! YUM! This looks absolutely amazing. Pinning for later. 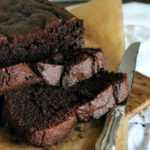 I’m always in need of something chocolate, and this bread is so decadent, it looks incredible! Zucchini naything is the best. Pinned this and will be making soon! I have some hemp hearts in the fridge that I’ve been trying to use up – definitely going to make this bread – looks delish! Can’t say no to chocolate bread, especially with the zucchini snuck in there! Looks amazing. LOVE ,LOVE, LOVE this bread. I make it all the time. I replace the eggs with 1/4 cup of flax to make it vegan friendly. I only add a splash of water if it needs it. So fudgy and rich! Yum yum yum. Now I want to go make it again! ?? OOO, egg free too??!! Awesome!! So glad you love it as much as my family does too Nikki!! Just made this! So easy and delish! Noone could tell that there are 2 zucchinis are in the batter. I used erythritol, but I added a couple of dark chocolate chips to each muffins to make it more desirable for the kids. I’ll definitely make it more often, along with the sweet potatoe muffin. Oh my goodness, my mouth waters every time I look at your yummy recipes on your blog! Tessa, seriously, this made my mouth water! The slices look so moist. I haven’t baked in so long, and I got rid of all of my baking flours. But I think it’s time to order almond, cassava, and coconut! Thanks for the links and an amazing recipe! Of course Heather, glad to ‘see’ you back in the mix!! Tessa, this looks so moist and delicious! I’ll put it on my list for when I start getting zucchini in my CSA box. Would you believe Linda, I had one rogue seedling come up from last year that I decided to keep…and since it was zucchini last year…I got another zucchini plant that is ALREADY producing!! Can’t wait!! Hope you get to try it soon! looks delicious. What size loaf pan did you use? Oh my, Tessa! This is a “must make” and I happen to have all the ingredients. 🙂 You know how I love using hemp hearts myself. Chocolate and hemp hearts are meant to go together and chocolate and zucchini as well, so all together, they must be delicious! I DO Shirley!! Hope you get to try it soon!